So when you find yourself worrying about pool upkeep, maintenance, and repair, that’s where Bahama Blue comes in. We’ve got the expertise and experience to make sure your pool is here for you today, tomorrow and well into the future. 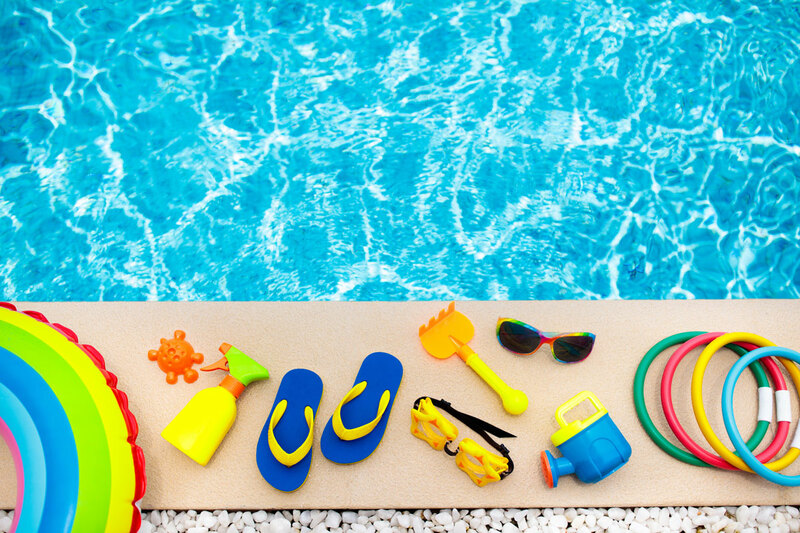 We want to make sure your pool is always a reliable source of fun and never a source of stress or worry. You can concentrate on the important stuff—like making sure you have the absolute best pool accessories. (Accessorizing is also a vital part of the fun.) While we’re taking care of all the technical stuff, here are some fun pool things you could be shopping for. Beverages and pool time should go hand-in-hand, so it’s no fun having to leave your beverage around the edge and worse still when you have to climb out of the pool altogether to get a new one. Intex’s floating coolers keep refreshment within arm’s reach. You can never have too many coolers, but that doesn’t mean they have to be front-and-center. Keter’s stylish and clever cocktail table hides a 30-liter cooler, making it a perfect year-round part of your patio furniture ensemble. When the weather’s right in Florida, you want to spend as much time as possible outside, so you’re really winning at pool time when you can enjoy traditionally indoor activities—like a good time—from the comfort of your own pool. Gemmy’s inflatable screens put the action right next to where the water is, turning your pool into a swim cinema. When you’re not swimming, you want your pool to be a bold and stylish centerpiece for your outdoor entertainment venue. These colorful, eye-catching floating light spheres by Frontgate range in diameter from 10 inches to 23.5 inches. Like we said from the start: Having a pool is supposed to be fun. Inflatabull absolutely steals the show. Kids of all ages will get a kick out of trying to ride the bouncing novelty bull. And the best part? Even when you get bucked off, you’re still in the pool.